All lecturers in the Science Communication Program are professional journalists and editors in the San Francisco Bay Area. They teach courses in their specialties, and they serve as mentors long after our students graduate. Erika Check Hayden, B.S., Director and Lecturer (Reporting and Writing Science News, The Science Feature, Multimedia Reporting). Erika became the third director of the SciCom program in January 2017. 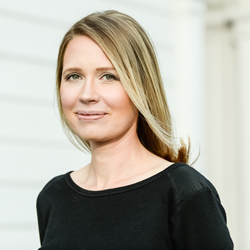 She worked from San Francisco for the news section of Nature from 2001 through 2016, reporting on biomedical research, emerging technologies, scientific trends, and ethics in science. Her reporting on the Ebola crisis from West Africa received multiple national honors in 2014 and 2015. Erika majored in biology at Stanford University, where she began her journalism career by writing for the Stanford Daily and the Stanford Alumni Magazine. She also has worked at Newsweek in New York, covering science, medicine, and breaking news. 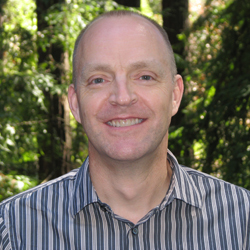 Robert Irion, B.S., former director (2006-16) and ongoing program advisor. 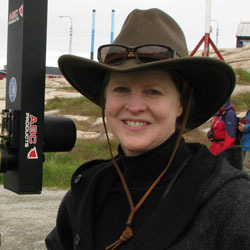 Freelance magazine journalist and former U.S. correspondent in astronomy and astrophysics for Science. Other national clients include National Geographic (cover story, July 2013), Smithsonian, Scientific American, Discover, New Scientist, Sky & Telescope, Slate, Reader's Digest Books, and Muse. Rob has won three national writing awards in the physical sciences, including one from the American Institute of Physics for his coauthored book, One Universe: At Home in the Cosmos (Joseph Henry Press, 2000), with Neil deGrasse Tyson and Charles Liu. He served as co-chair of the NASW Education Committee for six years, leading to the Diane McGurgan Service Award from NASW, and he is a longtime board member of the Northern California Science Writers Association. Rob has a B.S. in earth and planetary sciences from MIT. He worked as a newspaper reporter in Boston before graduating from the Science Communication Program in 1988. Martha Mendoza, B.S., Lecturer (Policy and Investigative Reporting). San Jose–based correspondent for the Associated Press, focusing on technology, breaking news, enterprise and investigative reporting from Silicon Valley. Martha's investigative reports have won numerous awards and prompted Congressional hearings, Pentagon investigations, and White House responses. 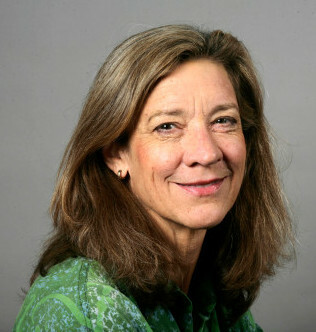 She is a two-time winner of the Pulitzer Prize: in 2000, for Investigative Reporting as part of a team that revealed, with extensive documentation, how American soldiers early in the Korean War killed hundreds of civilians at the No Gun Ri bridge; and in 2016, the Gold Medal for Public Service as part of a team that exposed slavery in the Thai seafood industry. She also received the Science-in-Society Award from the National Association of Science Writers in 2010 for a series that examined the threat of global drug-resistant infectious diseases on four continents. She was a 2001 Knight Fellow at Stanford University, and she is the 2002 UC Santa Cruz Alumni Achievement Award winner. She is a senior fellow at the Institute for Justice and Journalism, where she trains reporters about researching digital data and how to use public records. Peter Aldhous, Ph.D., Lecturer (Policy and Investigative Reporting). Science reporter, BuzzFeed (starting February 2015). Peter got his start in journalism in 1989 as a reporter for Nature, then fresh from a Ph.D. in animal behavior. Subsequent roles included European correspondent for Science, news editor with New Scientist, and chief news & features editor with Nature. After moving to California in 2005, he spent eight years as New Scientist's San Francisco bureau chief. Peter's main interests lie in the biological and social sciences, from genetics and stem cells, through ecology and conservation, to psychology and psychiatry. He is a keen roving correspondent, having reported from countries including Cameroon, Cambodia, China, Indonesia, Mexico, Russia, and Vietnam. His articles have won awards from the Association of British Science Writers, the Association of Health Care Journalists, the U.K. Guild of Health Writers, and the Wistar Institute. 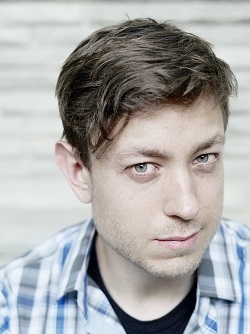 He also teaches data visualization at the Graduate School of Journalism at the University of California, Berkeley. Lisa Strong, B.A., Laboratory Coordinator (Multimedia Reporting). Lisa is a multimedia storyteller and science journalist. She specializes in nature, science and history stories for museum exhibits, web multimedia, or anything else that gives her an opportunity to explore the world. She’s a writer, still photographer, cinematographer and video editor. Lisa worked for Ocean Leadership as the outreach/video producer on the research vessel JOIDES Resolution in winter 2011, producing weekly videos and live webcasts during a 2-month expedition at sea. She worked for San Francisco’s hands-on science museum, the Exploratorium, as a video producer on Ice Stories. The web-based multimedia exhibit included original reporting on polar science during the International Polar Year, with fieldwork in Greenland and Antarctica. Other clients have included the Kids’ Science Challenge, the National Park Service, National Geographic’s Crittercam, and the African American Museum and Library at Oakland. Lisa has B.A.s from UC Santa Barbara in environmental biology and environmental studies. She graduated from the Science Communication Program in 1993. 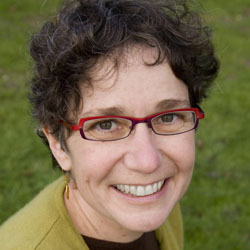 Evelyn Strauss, Ph.D., Lecturer (Profile and Essay Writing). Evi is a biologist-turned-journalist who has served in leadership positions for several start-up online projects at the interface between science and communication. She currently writes the official long citations for the Albert and Mary Lasker Foundation and the formal profiles for the Pearl Meister Greengard Prize winners. Previous positions: Executive Editor of the MS Discovery Forum, a website for researchers in the field of multiple sclerosis; Executive Director, Scientists Without Borders; co-creator and Senior News Editor of the former Science of Aging Knowledge Environment (SAGE KE) at Science; and contributing correspondent at Science. Evi has written for numerous other outlets, including Scientific American, Health, HHMI Bulletin, Stanford Medicine, WebMD, Salon.com, Dating911, the Pew Charitable Trusts, and the American Academy of Microbiology. She earned a B.S. in chemistry from UC Berkeley, a Ph.D. in biochemistry from UCSF, and did postdoctoral work in microbiology at Stanford. She graduated from the Science Communication Program in 1998. Lisa Krieger, B.S., Lecturer (Writing and editing workshop). 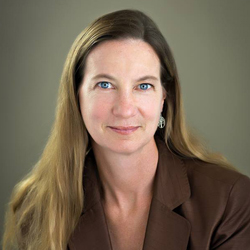 Lisa is a science writer at The San Jose Mercury News, covering research, scientific policy and environmental news from Stanford University, the University of California, NASA-Ames, U.S. Geological Survey and other Bay Area-based research facilities. Lisa also contributes to the Videography team. Her coverage of the California drought earned the 2015 Oakes Award for Distinguished Environmental Journalism and the 2014 Scripps Howard Award for Excellence in American Journalism. She was named 2013 “Journalist of the Year” by Northern California chapter of the Society of Professional Journalists. Lisa graduated from Duke University with a degree in biology. Outside of work, she enjoys photography, backpacking, swimming and bird-watching. 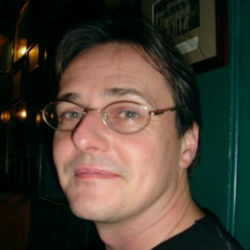 Chris Schodt, M.J., Lecturer (Multimedia Reporting). Chris is a journalist based in the Bay Area, specializing in technology, science and entertainment. He is a freelance video producer and editor. Originally from Minnesota, Chris worked for three years at Minnesota Public Radio/American Public Media as a multimedia and live events producer and project coordinator. Chris is an experienced multimedia producer, working in Final Cut and the Adobe Suite. He’s filmed live interviews, stage shows, conferences and concerts, andis an expert in web distribution. Chris received an undergraduate degree in Geology from Macalester College in Saint Paul, and a master's degree in journalism from the University of Califorina, Berkeley. Chris also spent two years as a field researcher and environmental chemist.